Follow a light-filled path with the Bridge Chandelier. 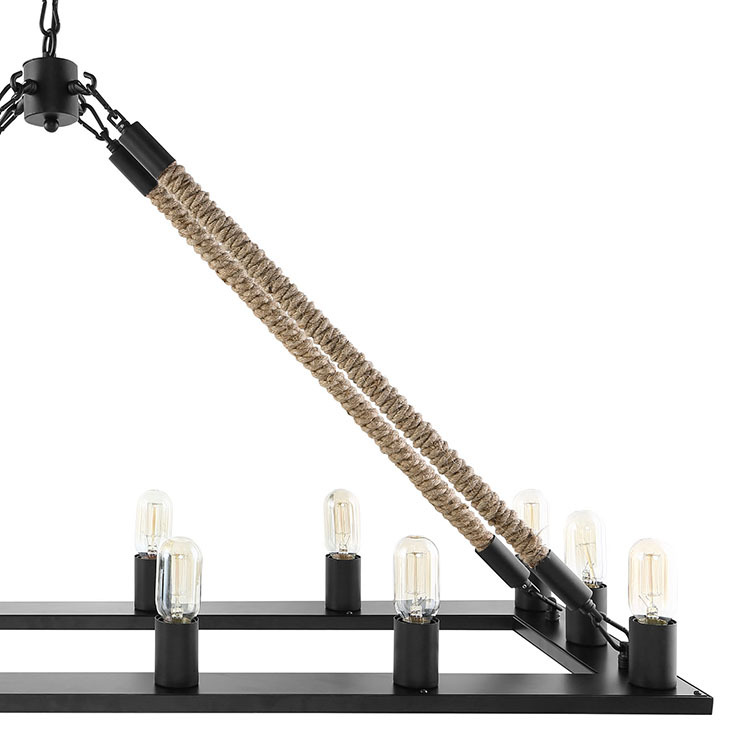 Supported by four rope cords with steel hooks, and adorned with a magnificent array of fourteen bulbs, Bridge takes you from one side of the journey to the next with distinction. Held by an adjustable steel chain, and designed to approach the length of standard-sized dining tables, dine amongst friends and family while seated in front of a radiant landing strip of positivity. Bridge works best in rustic, ranch, vintage modern, industrial modern, and other transitional decors.